Here are a few of my favourite articles and blog posts from March 2018. 1. 10 ways to reduce plastic consumption in the garden. Since it began being mass produced in the 1950’s, plastic is now everywhere. It’s in our food, our clothes, our technology, our cars and it’s in our gardens. The BBC’s Blue Planet made it shockingly clear the damage it’s doing to our environment and we, all of us, have an obligation to find other ways to sow, pot and manage without it. 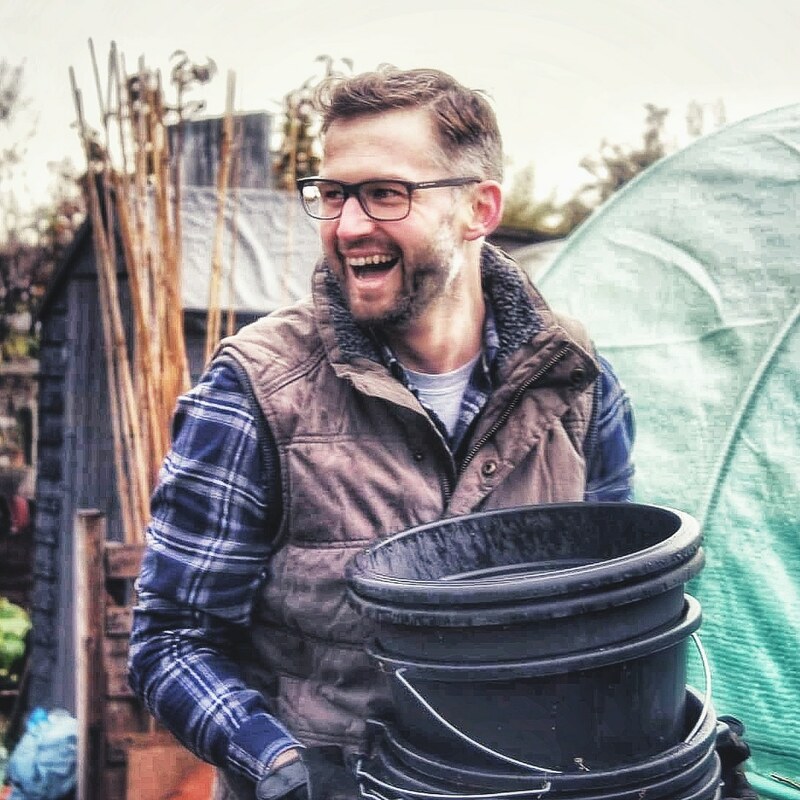 Adam provides some ideas of how we can reduce the use of plastic in our allotments and gardens. 2. Gardening with Companion Plants & Edible Flowers. The real secret to a successful kitchen garden is to work with nature and create diversity. In this post, Tanya provides some excellent tips to grow crops that thrive together as well as 15 edible flowers for insects and your stomachs. 3. Grow Your Own – Peas. There is nothing quite like the taste of a freshly picked pea and last year the sight of my daughter doing this for the very first time was wonderful. Peas are very easy to grow and they are a brilliant crop for small spaces too. Sasha is utilising this benefit in her small urban garden this year. Here she writes about her choice of peas for 2018. 4. March Allotment Tour. We all love a good nosey around other peoples allotment gardens. Katrina is back on our screens to give us just that privilege, showing us around her plot, her tidy shed and her plans for the year ahead. 5. The important lessons that gardening has taught me about getting through life. I love this post by Fiona. It is likely something to which we can all relate to in our involvement with gardening. If you look hard enough, through the mess and clutter, a garden has a way of showing you gold nuggets. And sometimes, they are all you need to find that inspiration and carry on. 6. 4 Easy Perennial Vegetables to Grow. We spend a lot of time scouring seed catalogues and listing all the new things we want to grow on the plot each year. This is what makes allotment or kitchen gardening so exciting. However, Richard has provided a few suggestions for perennial vegetables that will provide you with harvests year on year. 7. Back To The Magical World Of Allotments. There’s something about having an allotment garden that makes them very hard to let go. After recovering from surgery, Karen has decided the call to the plot is overwhelming and is taking on a new allotment. I’m looking forward to following the journey. 8. I can’t run, I can only grow! This is fantastic news. Five months ago, Michelle’s life took an unexpected U-turn and gardening and blogging took a back seat. However, after a bit of time out, it exciting to have the straight talking and sometimes potty-mouthed Bohemian Raspberry back on the allotment and writing about some new plans. 9. My top weed control tips. Gardners talk about weeds as often us Brits talk about the weather. They are one of the top peeves when it comes to growing your own. Apart from the use of weedkiller (I certainly wouldn’t use it), here’s some tips to help you keep on top of the weeds on your plot this year from Catherine. 10. Purple, Prince of fruit and veg. Purple veg are trending. Whether it be for their apparent superfood quality or simply because they look fantastic, I’m sure you’ll be growing something purple on your plots this year. If you want some ideas, here’s Caro with 10 purple crops she’s growing in 2018. Previous Allotment gardening and the importance of other people’s stories. thanks for the mention in this blog. Nice to see others, especially the London Plantology blog on peas. Some great ideas for perennials Rich! No. Not one I agree with. But I liked the other tips.. I’m not going to dictate to people choose to use it. I just wouldn’t use it myself. Yes same here. Little of often seems to work for us. And no dig too. I was amazed by the difference last year. #10 No, not a fan of purple or fads. Never done it. Horticulturists have nothing to prove by conforming to fads that do not work. Purple (or lavender) is for wisteria, lilac, lavender and some rhododendrons. There are a few things that should be purple. There is no need to push it. Thank you so much for the mention 🙂 I hope all’s well!